Rehearsals are Wednesday evenings from 7:30-8:30 pm, September-May. During Advent & Lent, rehearsals are 8:00-9:00 pm. Rehearsals are on Sunday afternoons from 12:00-1:00 pm, September-May. This ensemble plays for our Instrumental Service, which occurs every 6-8 weeks. For this service, we use Marty Haugen's liturgy "Now the Feast and Celebration," as well as a variety of hymns and songs from various sources. The Children's Choir at St. Paul is reorganizing. Watch for more details in the future. 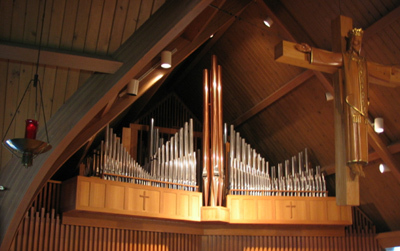 St. Paul has a 2-manual, 29 rank Berghaus pipe organ which was installed and dedicated in December 1991. In December 2016, St. Paul celebrated the 25th Anniversary of the installation and dedication of the organ with special worship services and concert. 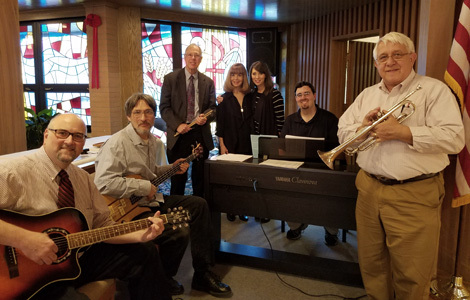 You are always invited and welcome to join the Music Ministry at St. Paul!